In an Aug. 30, 2017, photo, California women’s basketball coach Lindsay Gottlieb holds her then-6-month-old son, Jordan, during NCAA college basketball practice on the campus. The airlines are back at it again, with Southwest being accused of demanding that a white mother prove that her infant biracial son was indeed her own. 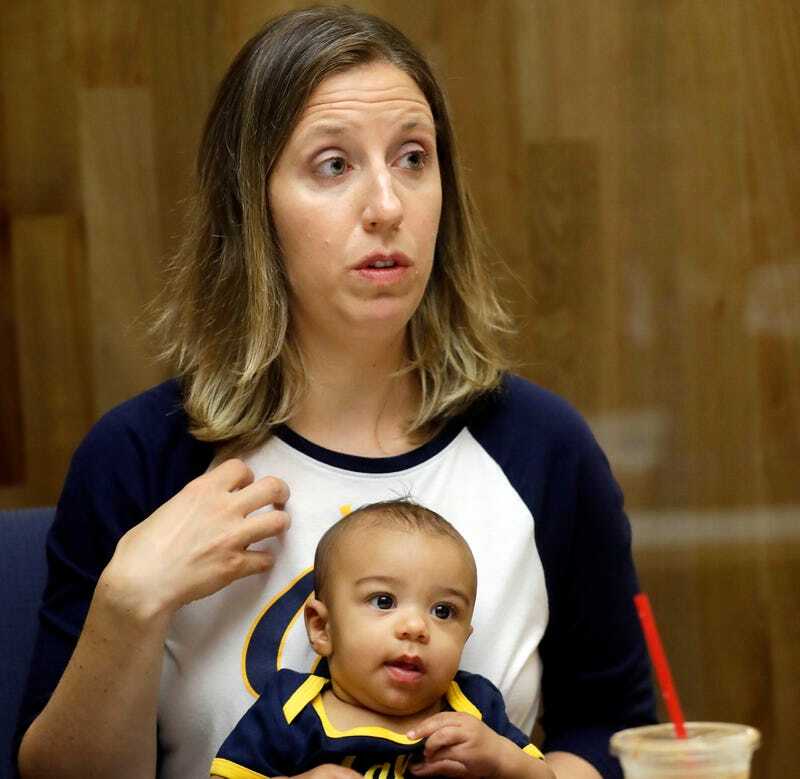 According to CBS San Francisco affiliate KPIX-TV, University of California women’s basketball coach Lindsay Gottlieb said that she was approached at a Denver airport by a Southwest Airlines employee who asked to know her relationship to her son before she could get on a flight. Gottlieb took to Twitter to express her shock at what happened to her, stating that this happened after approximately 50 times of flying with her now 1-year-old son. Gottlieb gave birth to her son, Jordan Peter Martin, last year. Patrick Martin, Gottlieb’s fiance, is black. As KPIX notes, the tot has traveled often, even on Southwest, with his mom’s basketball team this past season. However, this trip didn’t go as smoothly. Gottlieb said that she presented her son’s passport, only to have the agent demand the child’s birth certificate. Gottlieb said in her tweets that the employee insisted that the demand was made because she and her son do not share a last name, but a mother next to her pointed out that even though her family uses a different last name, they’ve never been asked. The basketball coach noted that that woman was not part of a mixed-race family. Nonetheless, Gottlieb stayed woke, acknowledging in her tweets that incidents like this happen far more often to “people that don’t look” like her.